British author Miriam Halahmy has a new children’s book coming out about a 10-year-old boy on the Kindertransport who flees Nazi Germany after kristallnacht. The book Saving Hanno: the Story of a Refugee Dog follows Rudi as he smuggles his dog Hanno – who is not allowed on the train – to London with him. But with Britain on the brink of war with Germany, many families are forced to put their pets down. To save Hanno, Rudi and Hanno join a group of children hiding out in the woods. “He is running from the Nazis – this little Jewish boy – and his worry is ‘how can I save Hanno?’” said Halahmy, who is from Golders Green. It can be read as a companion to Halahmy’s novel The Emergency Zoo, in which Rudi is also featured. The book will be sent to Jewish families in the US for free through PJ Our Way, which is PJ Library’s sister programme for children aged 9 to 11. It won the $5,000 PJ Our Way author incentive award in 2017, which is given to the best new Jewish manuscripts for 9 to 11 year-olds. Madelyn Travis, a member of the PJ Our Way book selection committee, said: “When we read Miriam’s manuscript, we knew that Saving Hanno would be just right for our readers. “Rudi is an endearing character, and the subject is based on a true story. 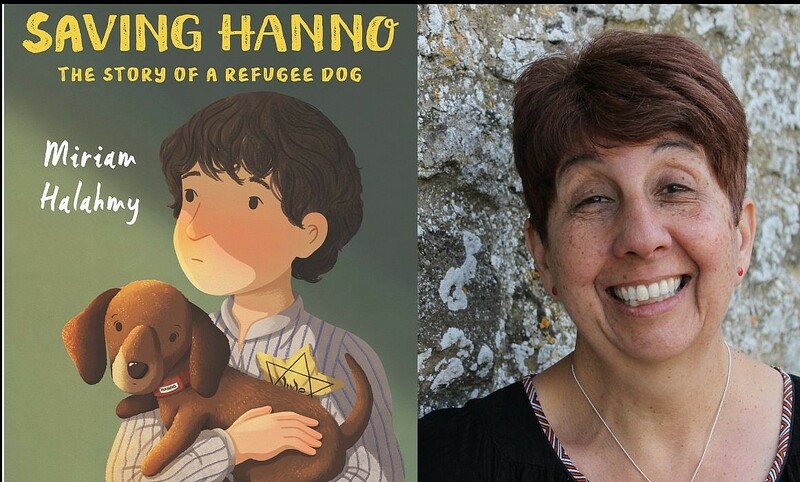 Saving Hanno: The Story of a Refugee Dog, published by Holiday House, will be available for purchase in the UK on Amazon for £13.78 from April 23.